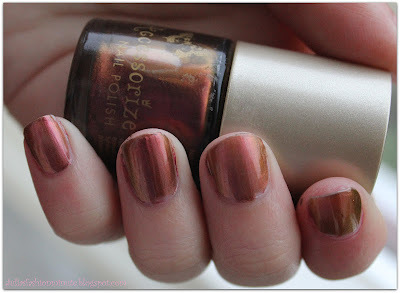 Today I show you the swatches of Bronze (shade 41) from the Accessorize nail collection. On my nails I'm wearing 2 to 3 coats. Unlike the other Accessorize nail polish I showed this one doesn't dry that quick. It's also a lot more see through. I do really like how this colour can change from a metallic bronze to a pink with gold or even an rosegold nail polish, depending on the lighting. I think this nail polish would give an even more woow effect when you apply glitter on top of it. What's your favourite Accessorize nail polish shade? 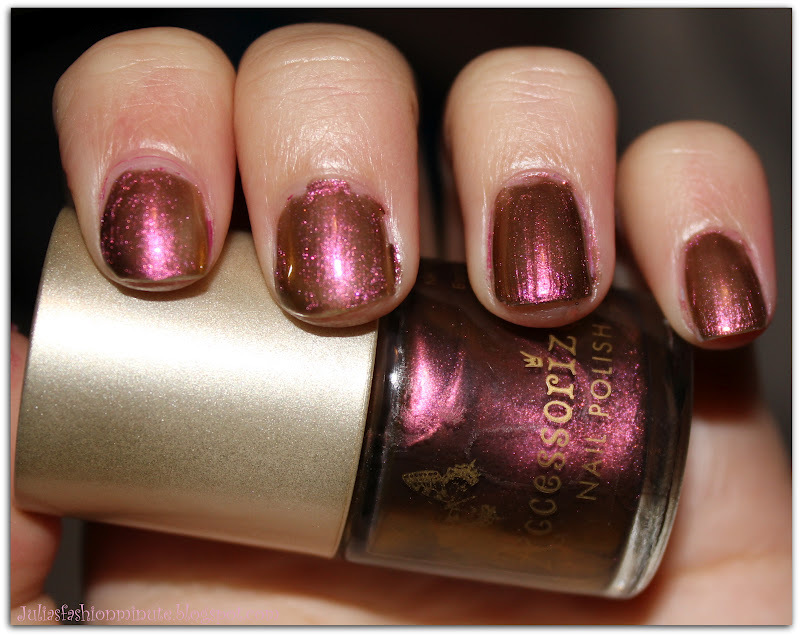 I love the undertones of this polish that come out in the light too :) Great swatches! I should deff check it ouT : D ! I bought this shade the other day as it was on offer in Superdrug. Haven't managed to try it out yet, but it looks a gorgeous colour! Found you on bloggers :) I'm following, could you take a look at my blog? I'd be really grateful. Thanks for followingen me ! && I was already following you through bloglovin' !